AND SO IT BEGINS...2011 - Marco Beverage Systems Ltd.
Today was the first working day of 2011 for us at Marco. As we take a healthy break of two weeks at Christmastime, and despite our fiscal year not paralleling the calendar year, the first working day of January always has a freshness to it as all are rested and back in the saddle. As has been widely tweeted, I am happy to welcome David Walsh of the wonderful OtherBlackStuff blog to the posse. – David took the first video footage of the first Uber Boiler at the Catex exhibition in Dublin in February 2009, only to promptly record over it with footage of some upstart called Harmon registering his first IBC win. – David helped me set up this blogsite and helped me understand twitter, as I wallowed in social media darkness. 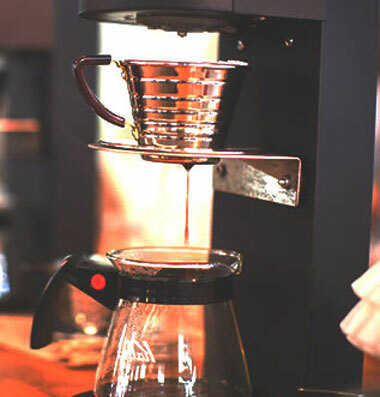 – David reviewed the Baratza Grinders for us before we took on the European distribution. – David was involved in early research on the Uber Grinder project. – David has helped me with the embryonic stages of the Gold Cup Research Project. So, what now. David will work on the Uberproject side of Marco while helping out in R&D on a myriad of both strategic design projects and on some media projects. It’s all pretty exciting really. First up – I look forward to the inimitable Mr Walsh representing Marco at the La Marzocco Out of the Box event in Berkeley, California on January 18 and 19. David will run workshops on brewing excellence and mechanical brewing. Anybody thinking of heading to the La Marzocco event would do well to sit in on what I’m sure will be a great interactive session.